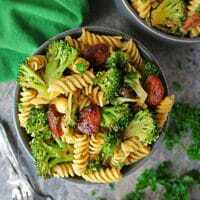 This Easy Spicy Broccoli Sausage Pasta with onions, ginger, garlic, your favorite sausage, fresh broccoli, and your favorite pasta, generously spiced with coriander and chili powder, is simply delicious for a hectic weeknight dinner as well as a casual weekend get-together. I don’t eat pasta often. But, when I do, I like it loaded up with broccoli and sausage and generously seasoned with coriander and cumin. I know pasta and spices like coriander powder might be an unconventional combination. But they might not be as unconventional of a combination as cotton candy taco “shells” stuffed with ice cream and sprinkles – which is a for real menu item found at Jake’s Unlimited in Phoenix, Arizona! But, I digress… getting back to this Easy Spicy Broccoli Sausage Pasta, this is a dish I urge you to expose your taste-buds to. This dish of onions, ginger, garlic, your favorite sausage, fresh broccoli, and your favorite pasta, generously spiced with coriander and chili powder, is simply delicious. 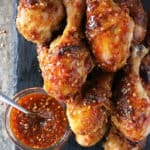 It is simple enough to whip up on a hectic weeknight for dinner yet tasty enough to serve at a casual weekend get-together. The beauty of this dish is you don’t have to use exact measurements. A handful or three of broccoli will do just as well as 4 cups of it. The same goes for the sausage. Add in as much or as little as you like. If you would like to use a flavored sausage, go for it. 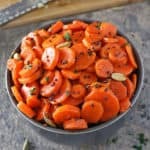 Want to throw in a pinch of cumin or turmeric, heck yeah – go for it! 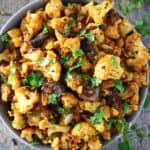 This Easy Spicy Broccoli Sausage Pasta came about because my daughter wanted something other than sausage and broccoli for dinner one night. You see, I often whip up a pan of spiced up sausage and broccoli. 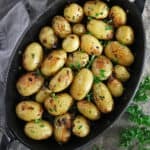 It is quick, super-easy and very low carb (if you are following a keto diet – this would fall under that category as well). We had just finished leftovers of this Easy Three Bean Curry and Easy Coconut Roti, and I was armed with all the ingredients for a pan of broccoli and sausage. As we were out of quinoa and rice, my daughter suggested adding something more to that pan and seeing I had some chickpea pasta on hand, I figured that would have to do. At first I wasn’t going to post this Easy Spicy Broccoli Sausage Pasta, but my daughter enjoyed it so much, she suggested I do so, just so she can have it online to replicate – and so, here it is. BTW, looking for a dessert to enjoy after this, then why not try this delicious Air Fryer Cheesecake? If y’all happen to make this Easy Spicy Broccoli Sausage Pasta, please do let me know your thoughts either on here or by tagging me on Instagram or Facebook. 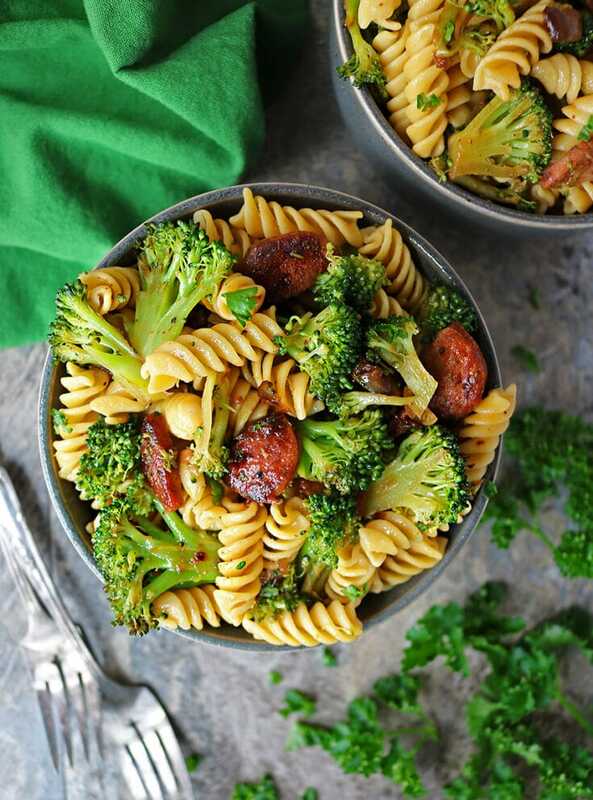 This dish of onions, ginger, garlic, your favorite sausage, fresh broccoli, and your favorite pasta, generously spiced with coriander and chili powder, is simply delicious. 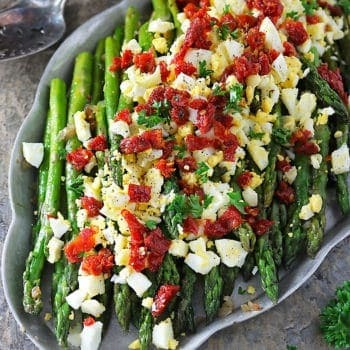 It is simple enough to whip up on a hectic weeknight for dinner yet tasty enough to serve at a casual weekend get-together. Peel and chop the onion and garlic. Then slice the sausage. Add the oil to a large frying pan and add in the chopped onion and garlic and saute over a medium flame - stirring often to keep the onions from catching. Meanwhile, using a grater, grate the ginger over the onion/garlic mixture and saute about 12 minutes, until onions are translucent and turning golden. While onions are cooking, prepare chickpea pasta (or your favorite pasta) according to package directions. Move the onion/garlic/ginger mixture to the outside of the pan and add in the sliced sausage to the middle of the pan. and let sausage cook. Flip sausage slices over after about 5 minutes so each side is evenly browned. Add in the broccoli florets, coriander, and chili powder and stir well. Then cover pan and let broccoli cook for about 4- 5 minutes. Toss in the cooked pasta. Season with salt and pepper and enjoy! 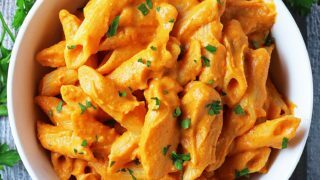 These pasta dishes are perfect for those hectic week night dinners as well as they make entertaining easy on the weekends so you can spend more time with family and friends and not in the kitchen. 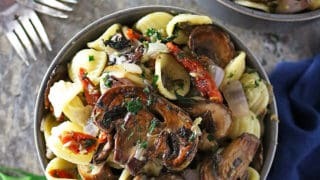 Elevate your everyday meals with this easy, quick, flavor-packed, Roasted Mushroom Sundried Tomato Pasta. 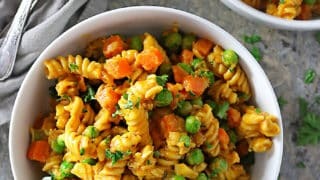 This six-ingredient, Coriander-Spiced, Butternut Squash Pasta is one heck of a simple meal – with veggies squeezed right in – literally! With a slightly spicy cashew cream sauce, this dish is taste bud tantalizing! 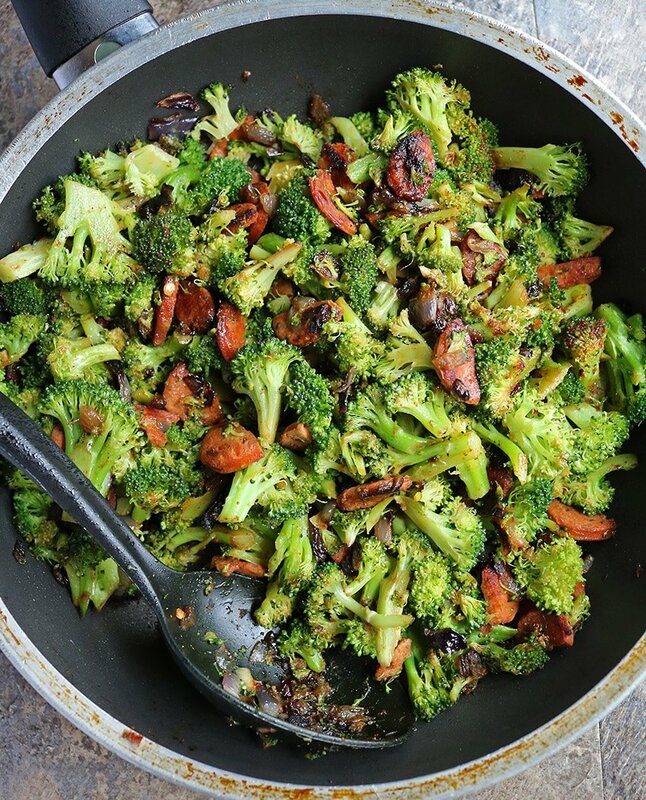 This looks so delicious loaded with my favourite broccoli! Looks great! My kind of pasta…although interesting that I have broccoli and sausage independently with pasta fairly often, I don’t know that I’ve put them together. Will have to fix that! I love easy pasta dishes where you don’t have to follow the instructions to a T and you still get a delicious meal! Great recipe! Made this for dinner and the entire family loved it! Sausage is always so good with pasta. Sounds like your daughter has good insight on what is delicious! Can’t wait to try this one! Mmmmm yum! 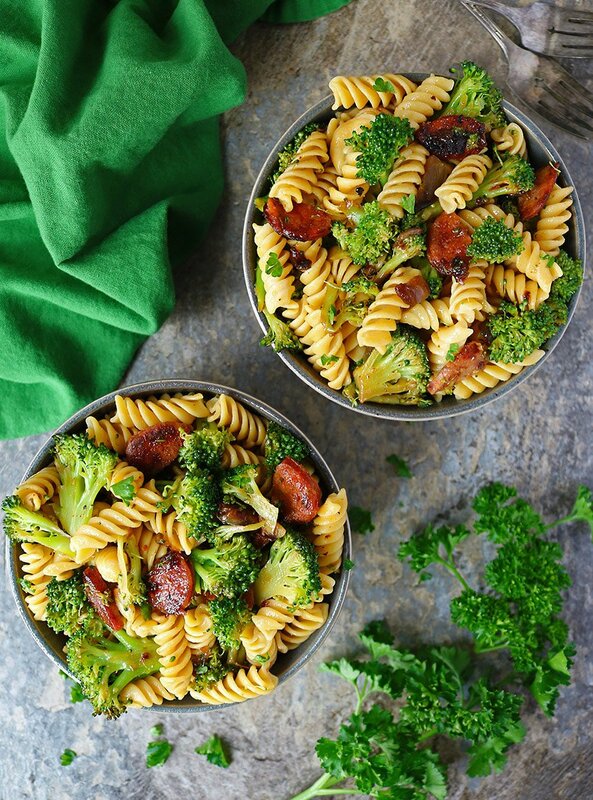 I love the idea of this spicy broccoli sausage pasta. 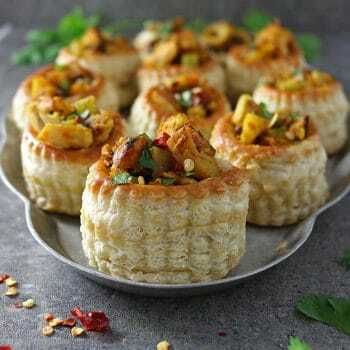 Ginger and garlic together are a classic combination as are coriander and chilli powder. 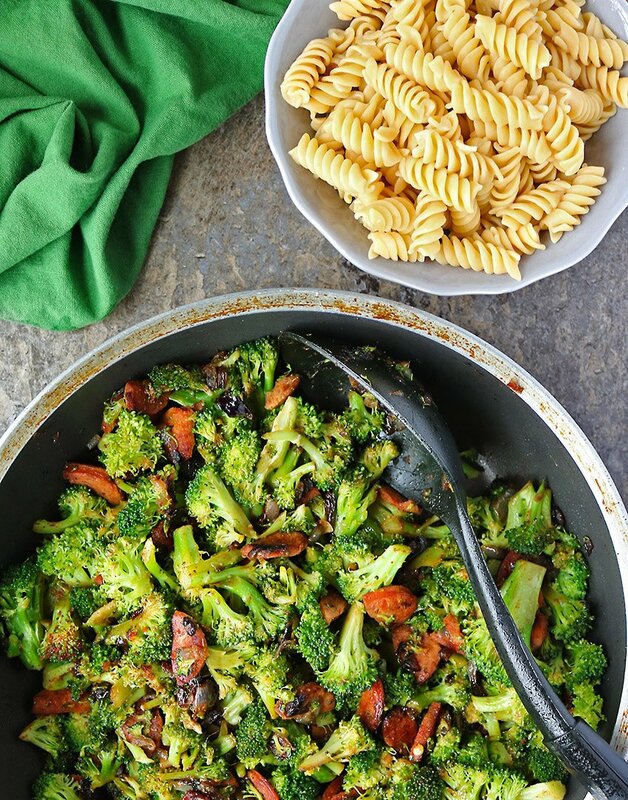 Mixing those classic combinations with broccoli and pasta, now my mouth is watering at the thought! 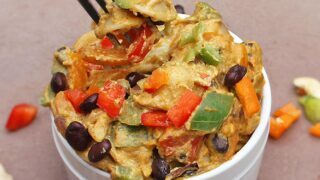 Definitely keeping this recipe in mind as a quick healthy meal Shashi. Many thanks! Oh my gosh, this sounds delicious! I don’t eat much pasta either, but load it up with veggies and I’m all over it! Hope you’re having a great weekend, Shashi!